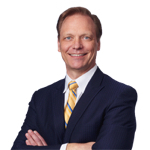 Paul Luehr is a partner at Faegre Baker Daniels LLP. Paul has spent 25 years on the cutting edge of data privacy and cybersecurity. He pioneered many early internet investigations as a federal attorney with the Federal Trade Commission (FTC) and the U.S. Department of Justice (DOJ) between 1992 and 2004. He then spent 13 years in the private sector as an executive and consultant, providing advice on data privacy, cybersecurity and digital investigations to Fortune 500 companies. As data privacy and security concerns galvanized the public, Paul became one of the nation’s “go-to” professionals for clients, and he led investigations into 4 of the top 10 data breaches on record. Paul has the legal and technical expertise to help organizations stay ahead of the curve. He has overseen forensic teams on data incidents affecting national retailers, financial institutions, hospitals and national health care companies, universities, hotel chains, defense contractors, and online providers. As a trusted thought leader on privacy, cybersecurity and the digital economy, Paul’s insights have been featured on CBS, NBC, CNBC and BBC television, and in The Wall Street Journal, The New York Times and USA Today. He also gives frequent presentations and guest lectures on privacy and data security issues throughout the United States. Paul began his legal career at the FTC, where he served as a trial attorney and assistant director and became a foundational member of the agency’s internet team. He then joined DOJ as a federal cybercrime prosecutor, where he trained prosecutors and agents on cyber investigations and led cases related to computer intrusions, email threats, internet fraud and identity theft, phishing schemes, software piracy, and criminal trademark infringement. Immediately following September 11, 2001, Paul also oversaw the initial investigation into computer evidence related to the terrorist Zacarias Moussaoui. Meanwhile, he served on the U.S. Internet and Telemarketing Fraud Task Force, DOJ’s Computer Crimes (CTC) Working Group, the U.S.-Canada Cross-Border Fraud Working Group and the U.S. Anti-Spam Task Force. Drawing on his in-depth regulatory expertise, Paul joined Stroz Friedberg as a consultant and over time served as general counsel, chief privacy officer, and executive managing director as the data risk management firm grew to global prominence with 14 offices and over 500 employees. He assisted boards, CEOs, CISOs, chief privacy and compliance officers, and counsel with many incident response and internal investigations, and presented technical findings to numerous state and federal agencies. He also logged years of experience mining digital evidence related to privacy and security assessments, high-stakes litigation, trade secret disputes, global FCPA investigations, eDiscovery issues, and online advertising.